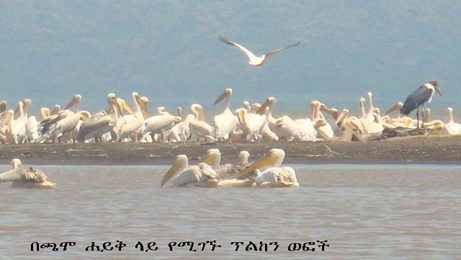 Lake chamo approximately 26 K/m long, with maximum depth of 10 meters, and elevation 1108 meter high many seasonal rivers are empting to the lake the major one is Kulfo river and its surface area is 551k/m2 depending on season & rain fall. One of the indication is innumerable Nile crocodile, hippos in & around some of which reaching up to 8 (eight) meters of length from in out to tip. Crocodile seek the warmth of the sun on the shore of Lake Chamo and they are so numerous so that the place is known as «crocodile market». Boating on the rift valley lakes is an excellent chance to tourists to see the length & width of the lake in all direction and spectacular view of the sunset.